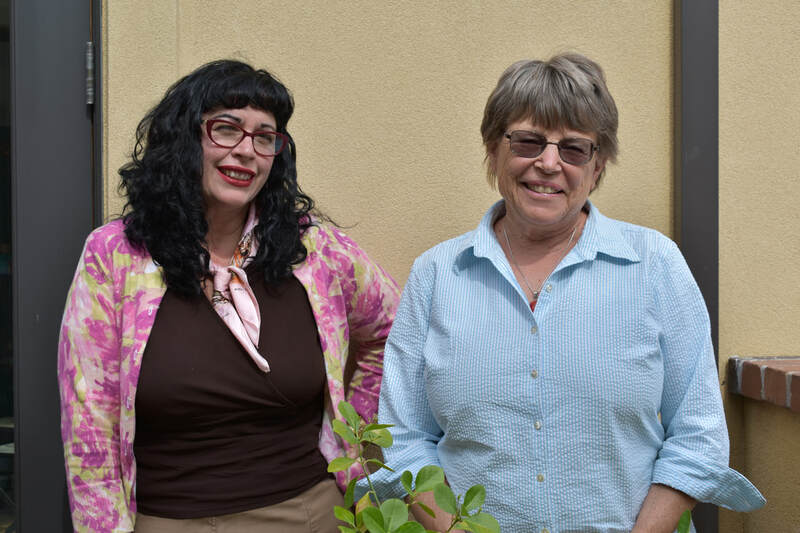 A project of Plumas Arts and the Plumas National Forest, the Artist in the Lookout Residency 2017 was awarded to writer Margaret Elysia Garcia (left) and painter Sally Yost (right). 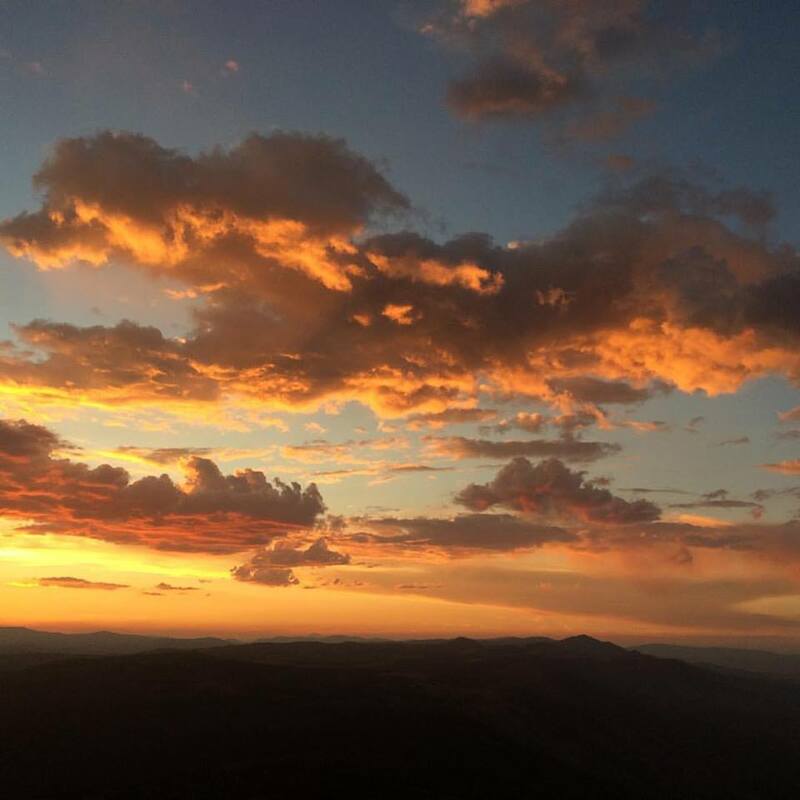 The Artist in Residence program provides a unique opportunity for an artist to spend four nights at the Black Mountain Lookout to draw upon the breathtaking landscapes of the Plumas National Forest for inspiration. Paintings by Sally Yost © 2017. 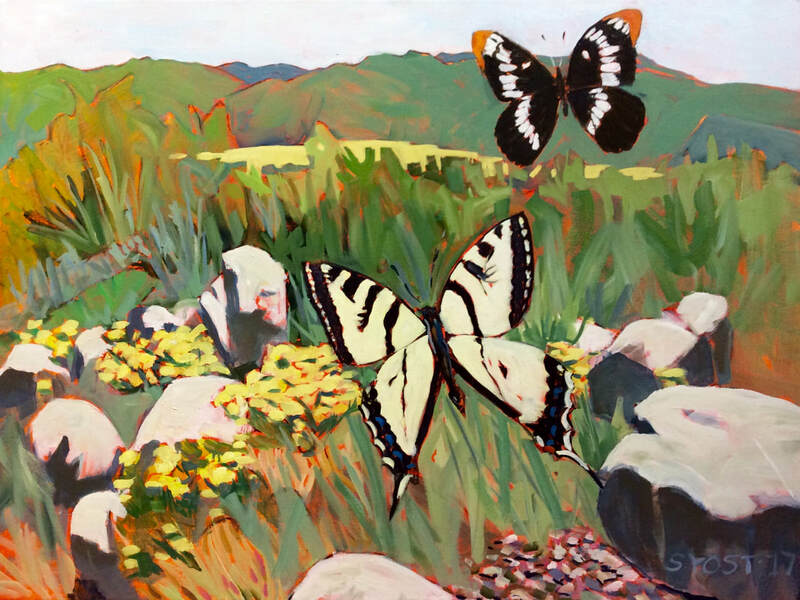 Above "Butterflies, Black Mountain Lookout," oil on canvas. 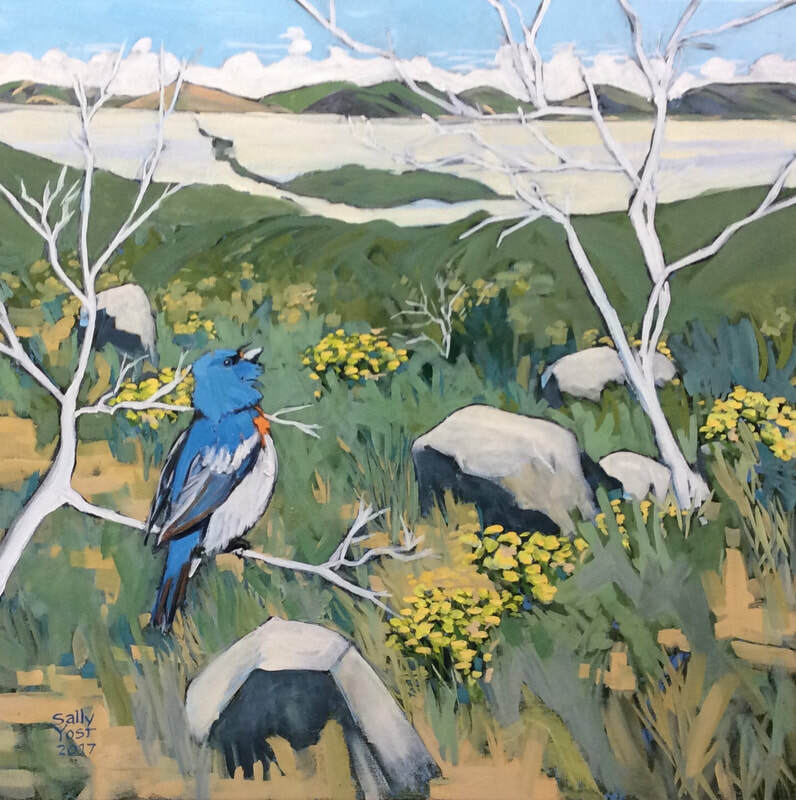 Right, "Lazuli Bunting and Honey Lake from Black Mountain Lookout," oil on canvas. 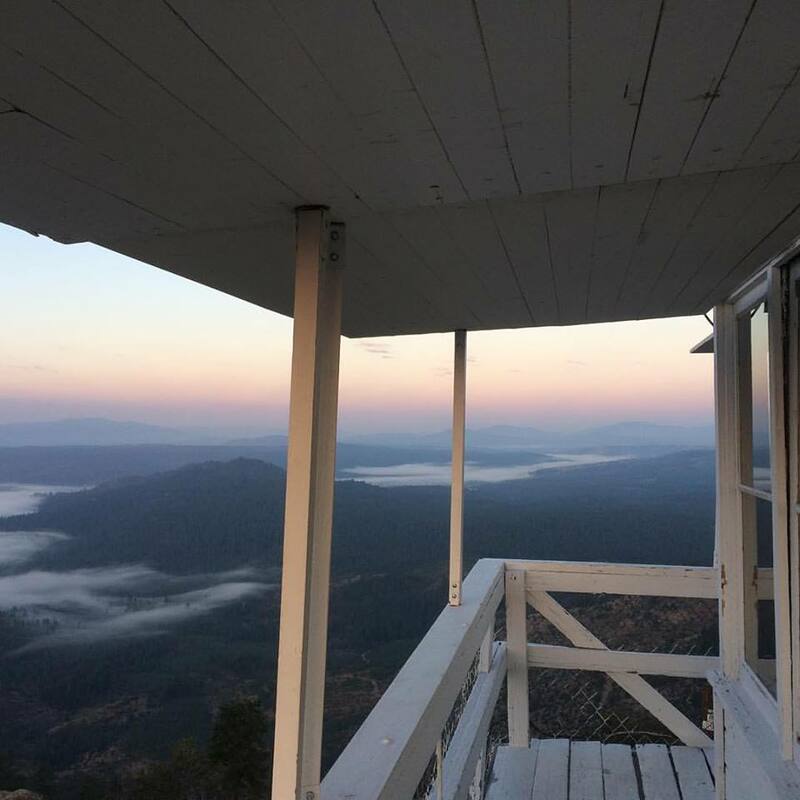 Writer Margaret Garcia will be presenting a chap book of poems and prose inspired by her time at Black Mountain entititled "What the Wind Brought Me." All photos by Maggie Wells, ©2017.